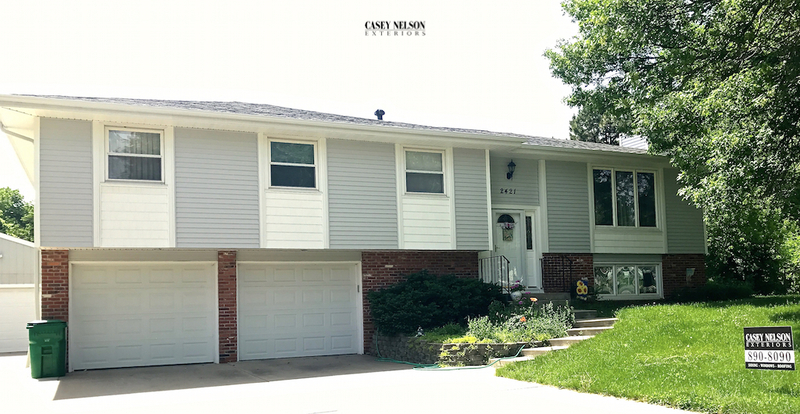 This entry was posted in Design Ideas and tagged Siding Contractor Lincoln NE, Siding Contractor Omaha NE, Siding Lincoln, Siding Omaha, Vinyl Siding Contractor Lincoln NE on June 27, 2017 by Casey Nelson Exteriors. 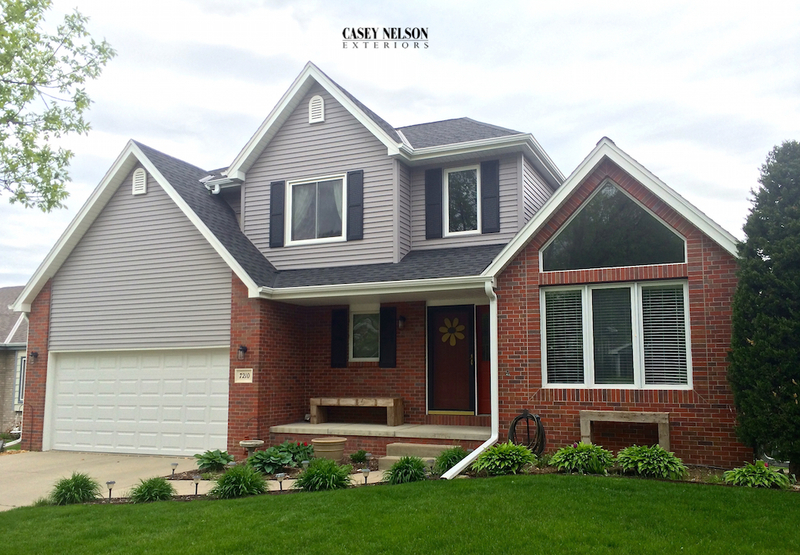 Mastic’s Ovation Vinyl Siding Delivers Durability! 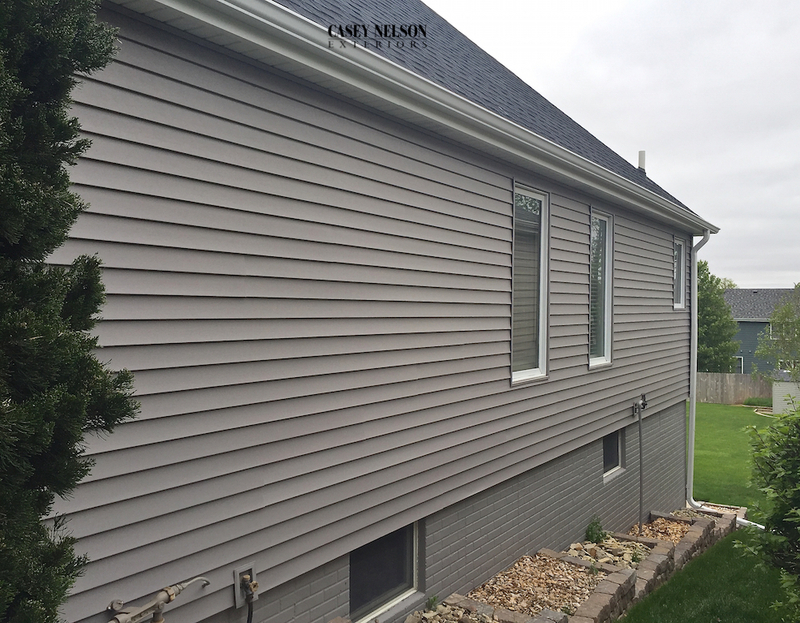 If you are looking for siding that is durable and low maintenance and looks beautiful, Ovation siding is the ideal choice. 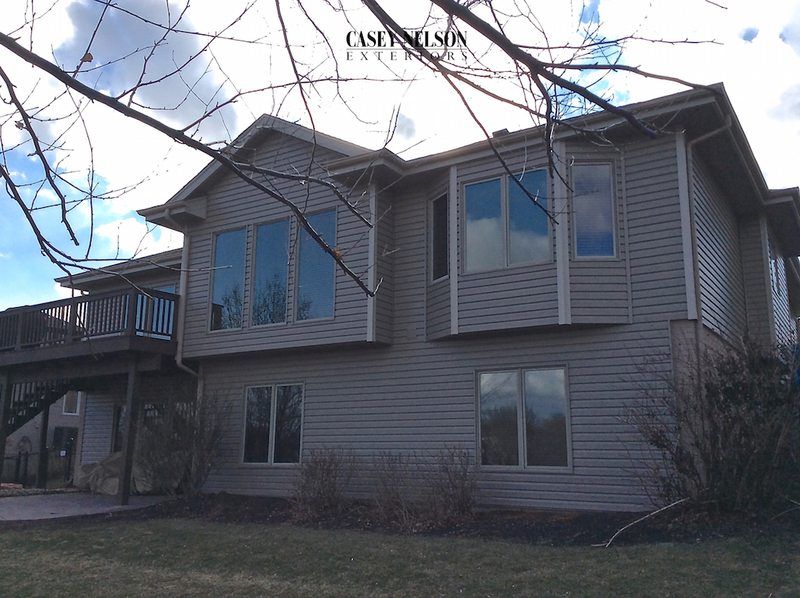 Ovations will enhance your home’s appearance today and for years to come. Ovation is engineered for strength and durability. 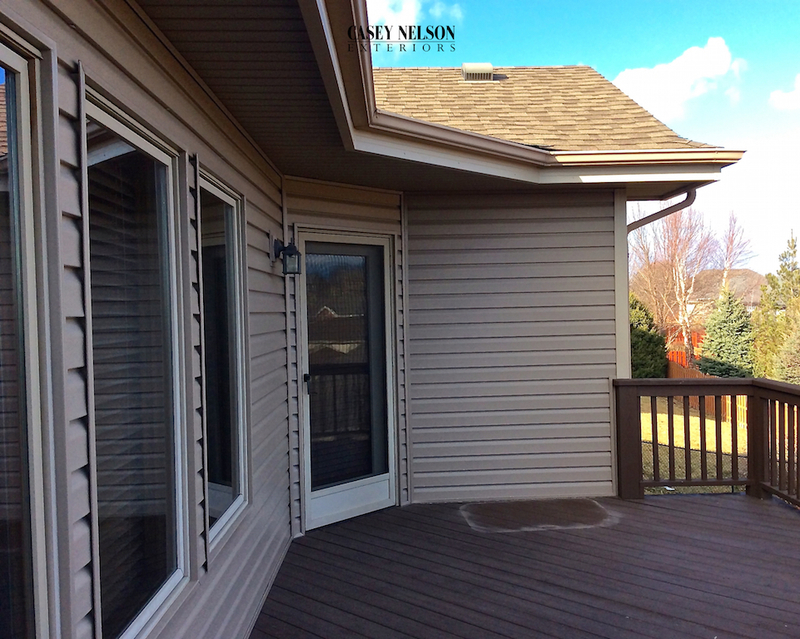 The exclusive Snap+Lock+Hold Locking System keeps the panels in place, even during high winds. With vivid color throughout and strength across the board, Ovation more than earns its name. 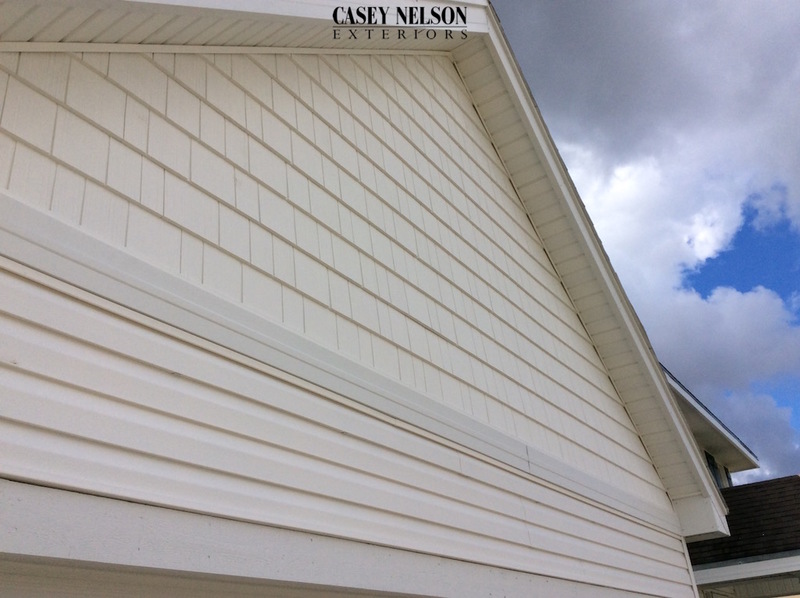 Traditional Double 4” lap siding gives the historic look of wood clapboard siding to your home, and creates a realistic shadow line where the panels appear to overlap. 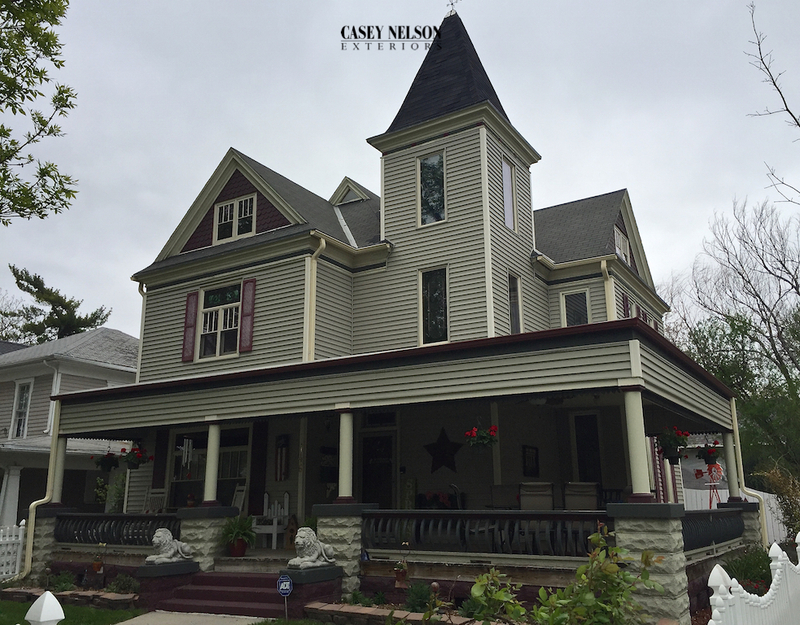 It is often used for a more traditional look. 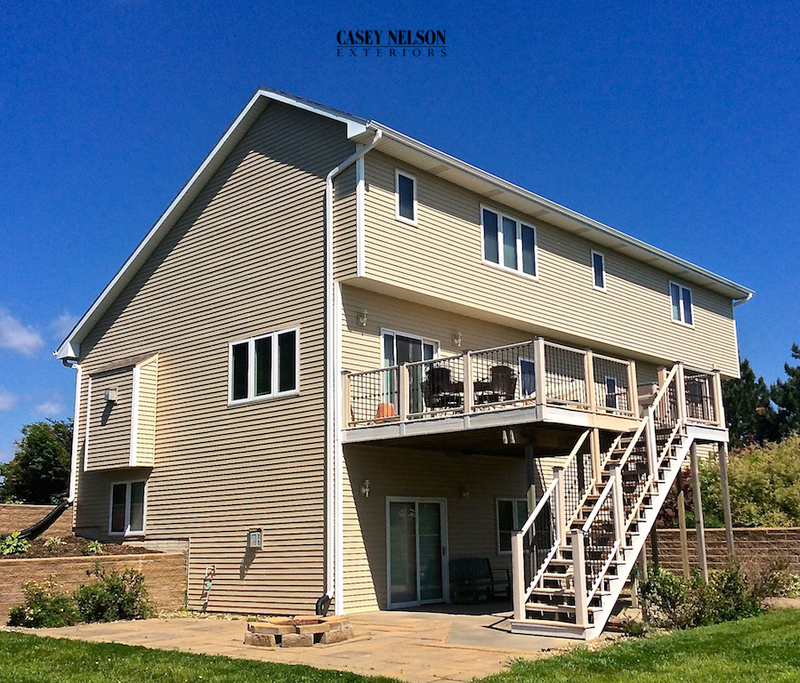 Featured are three homes, which Casey Nelson Exteriors finished in Mastic Ovation D4 Vinyl Siding. 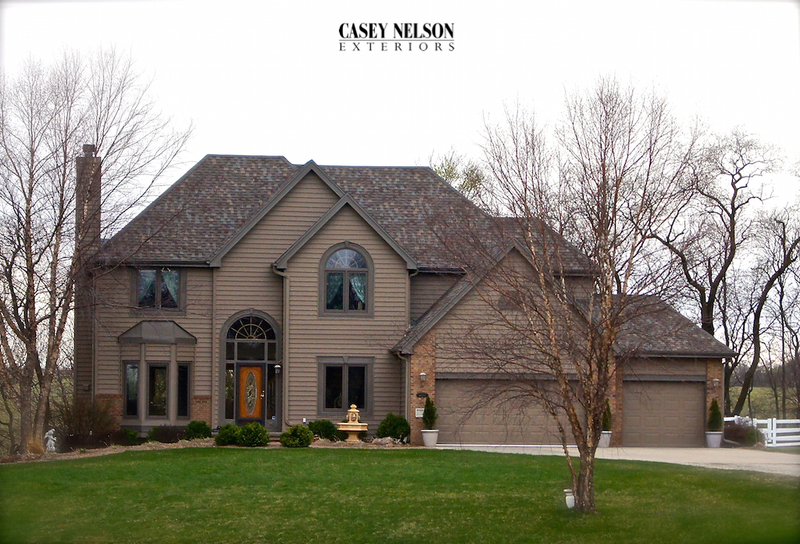 This beautiful home used a favorite color of many featured homes in the Lincoln and Omaha area – Pebblestone Clay. 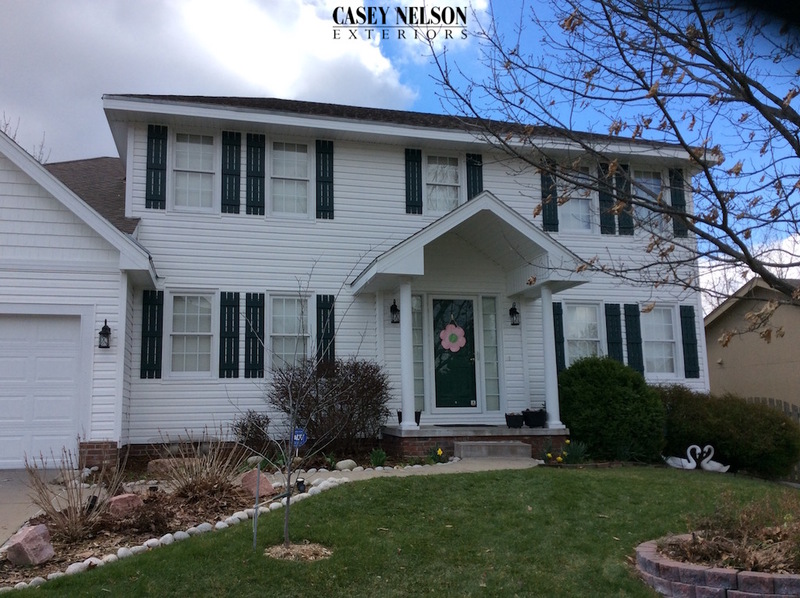 Add wraps and corner posts in Almond and shutters in Sand Dollar and you have created absolute curb appeal! 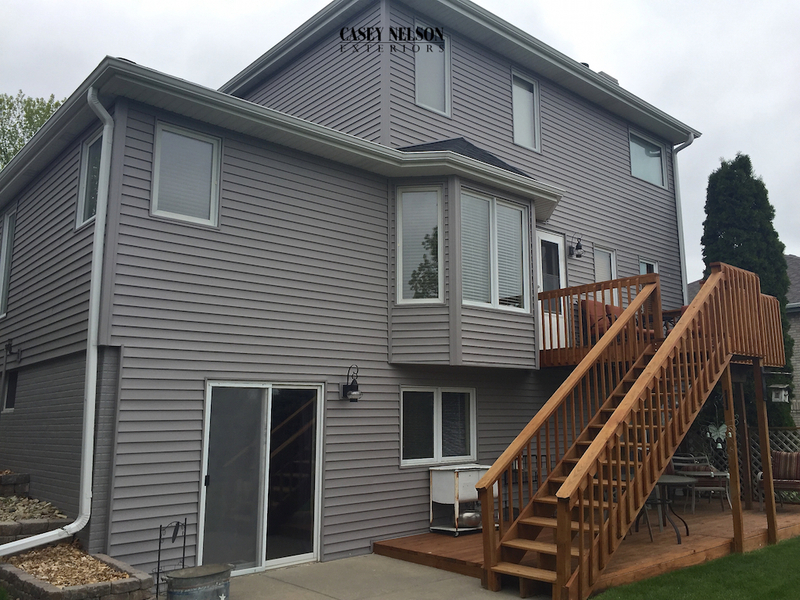 Silver Grey –Homeowners selected Silver Grey for this beautiful home’s siding color. 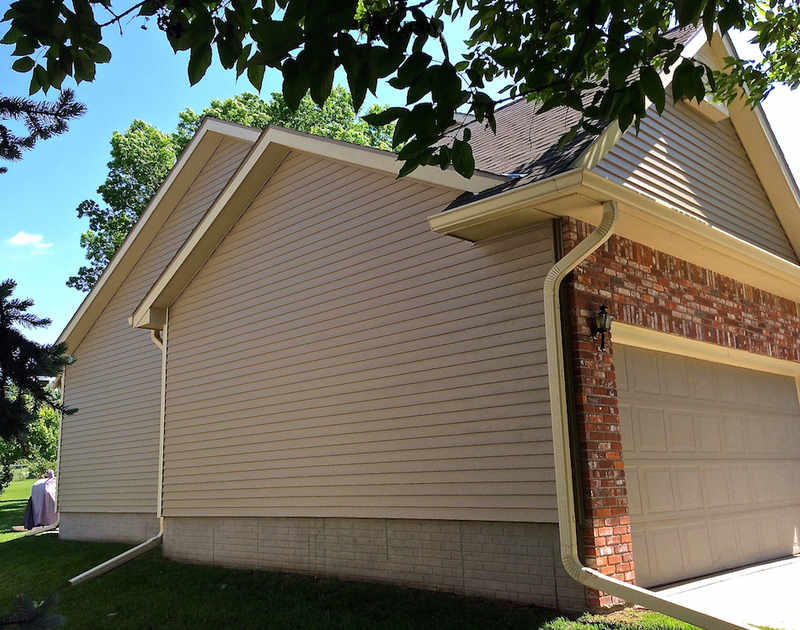 Wraps, soffit and corner posts were finished in White. 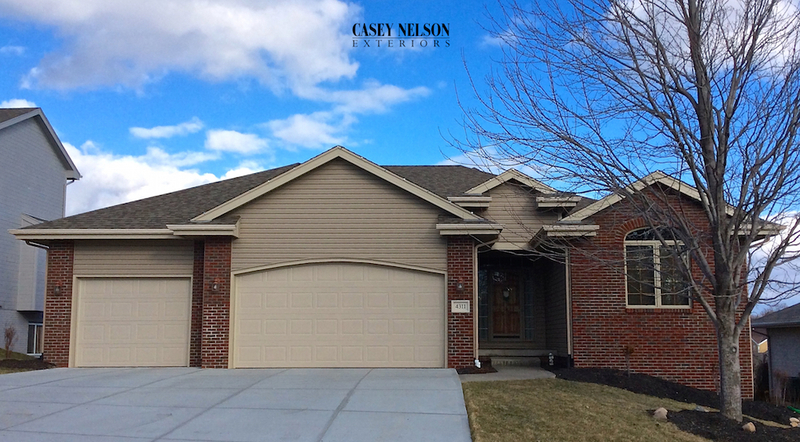 Wicker – This beautiful home was completed in Wicker. A beautiful compliment to colors, which the home already featured. 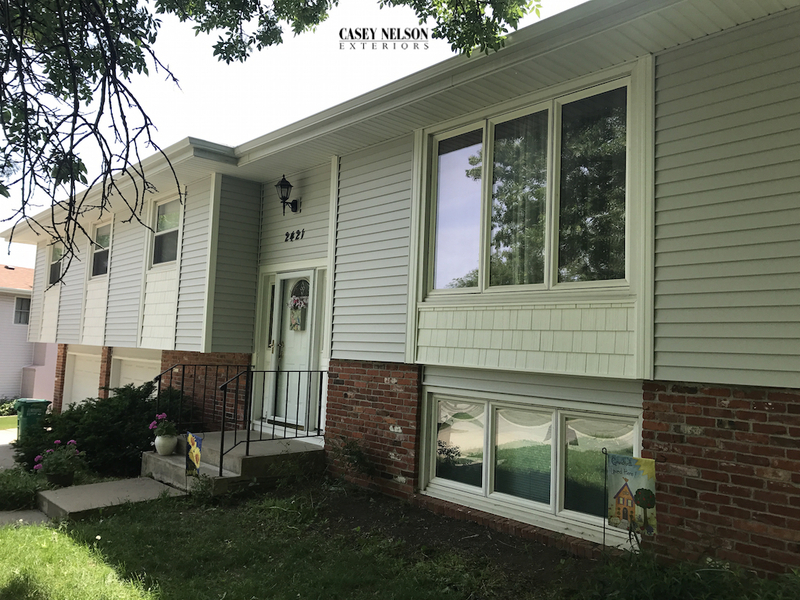 This entry was posted in Design Ideas and tagged Siding Contractor Lincoln NE, Siding Contractor Omaha NE, Siding Lincoln NE, Siding Omaha NE, Vinyl Siding Contractor Lincoln NE on May 17, 2017 by Casey Nelson Exteriors. 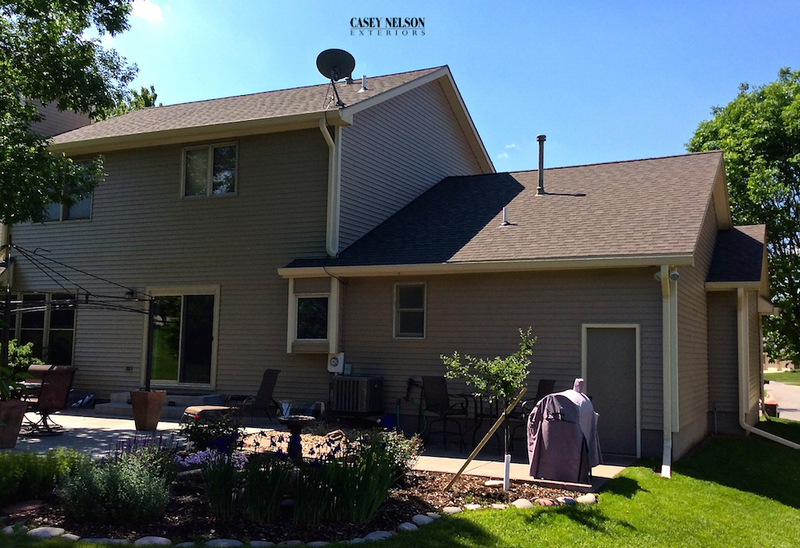 A home exterior remodel can make your home the talk of the neighborhood! 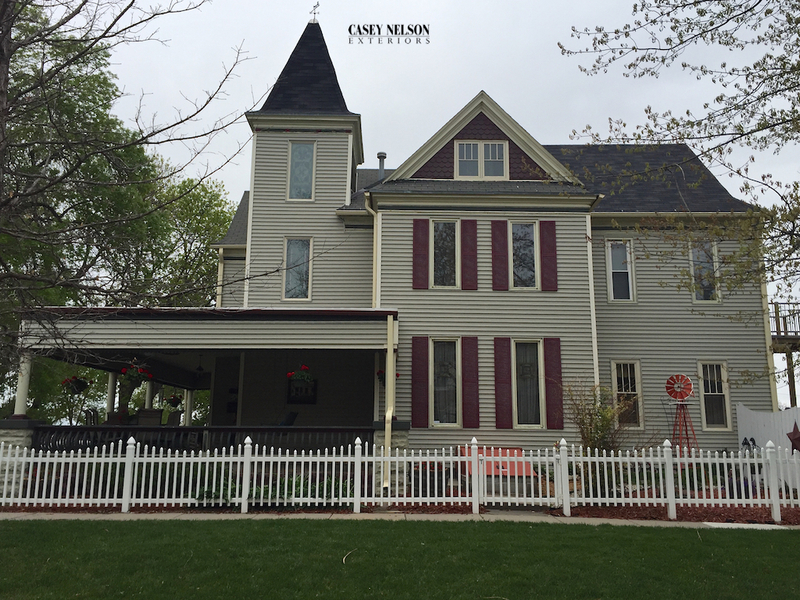 Exterior color changes cannot only change your home but that of the entire neighborhood. 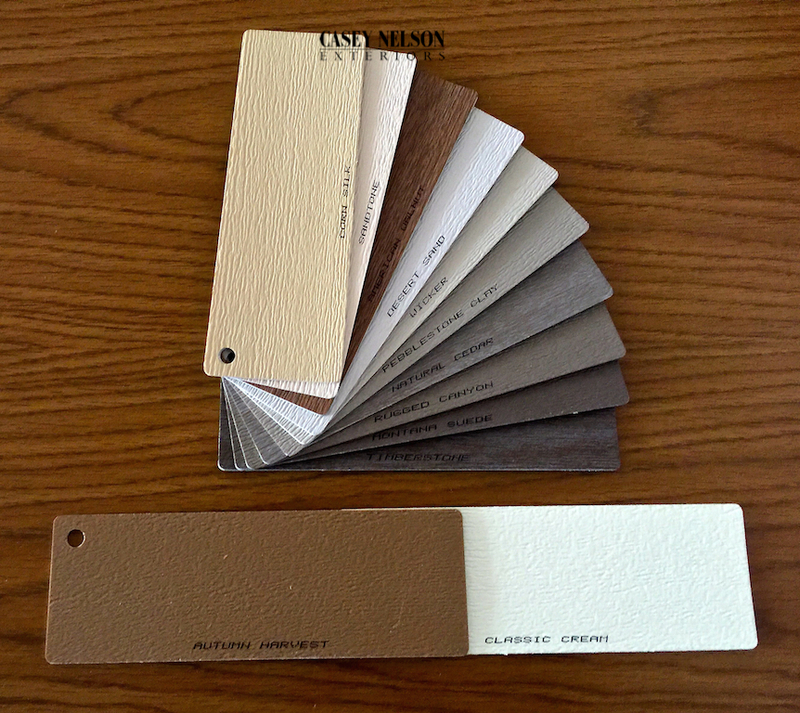 That can seem like a great deal of pressure when selecting color for your home! 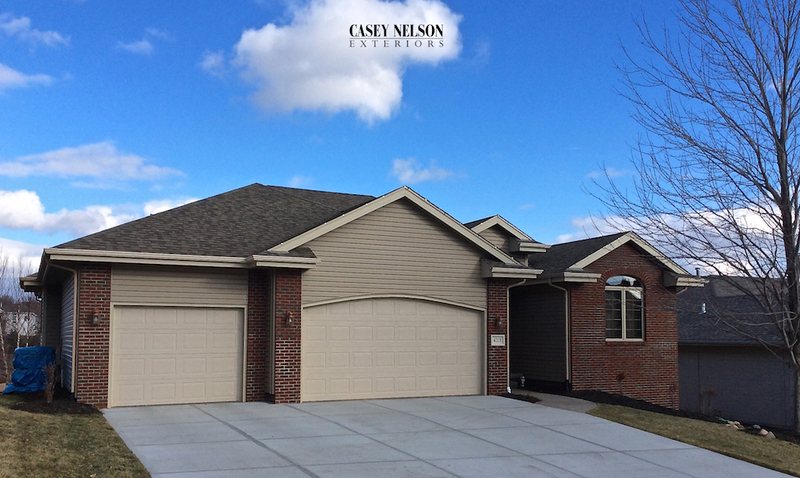 Here are a few tips to make your choice a little less overwhelming. 1. Plan around elements that are hardest to change. a. 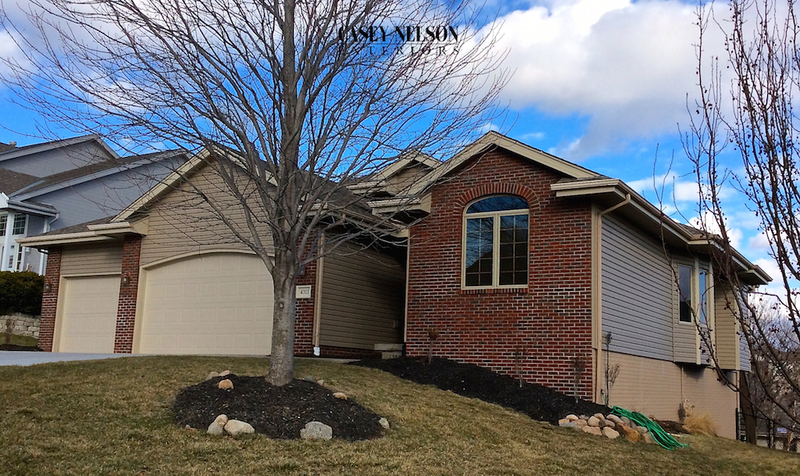 For many homes it is brick or stone that is on the home already. 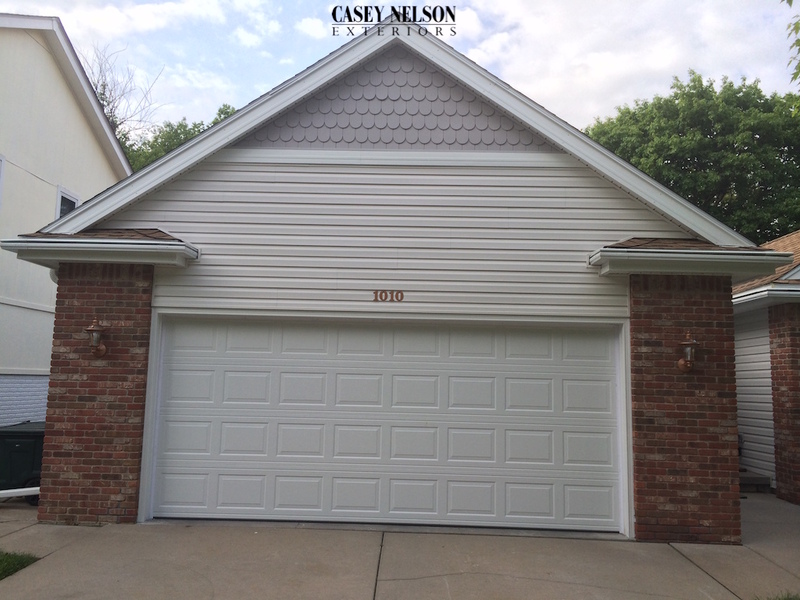 If your home has brick or stone look for colors within those features. b. Landscape can also be a factor. 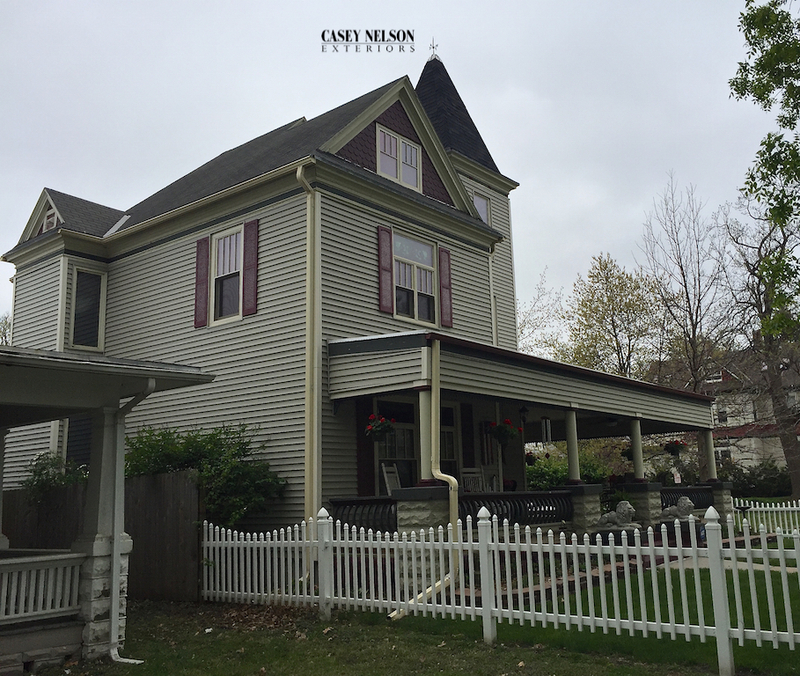 If you have invested in landscape features look at those for potential color hues. 2. 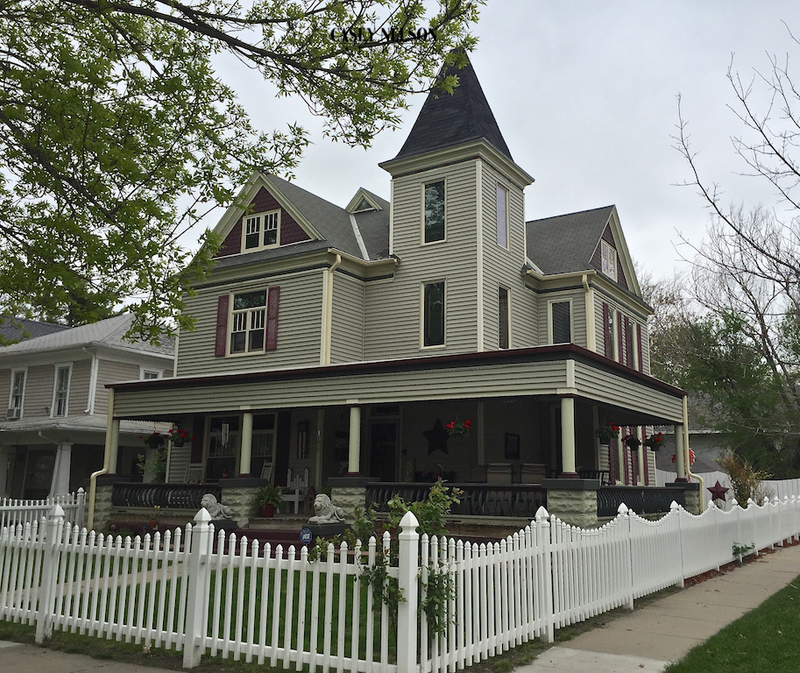 Consider the architectural style and era of your home. 3. Consider the visual effect that you want to create from the street. 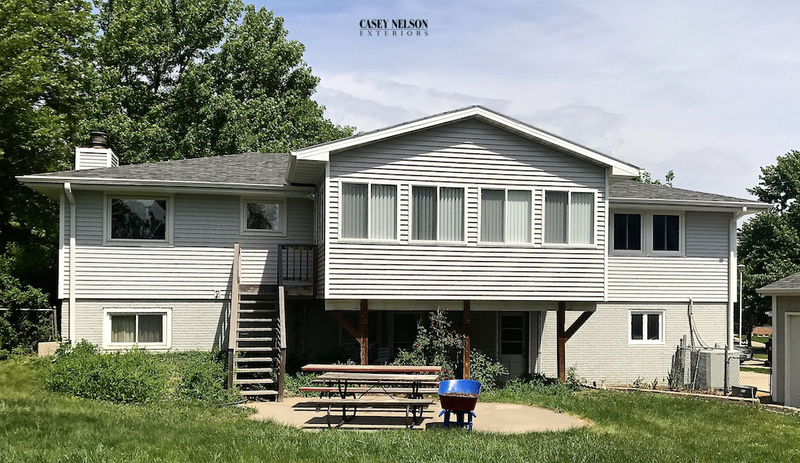 When looking at your home, consider the homes around it. 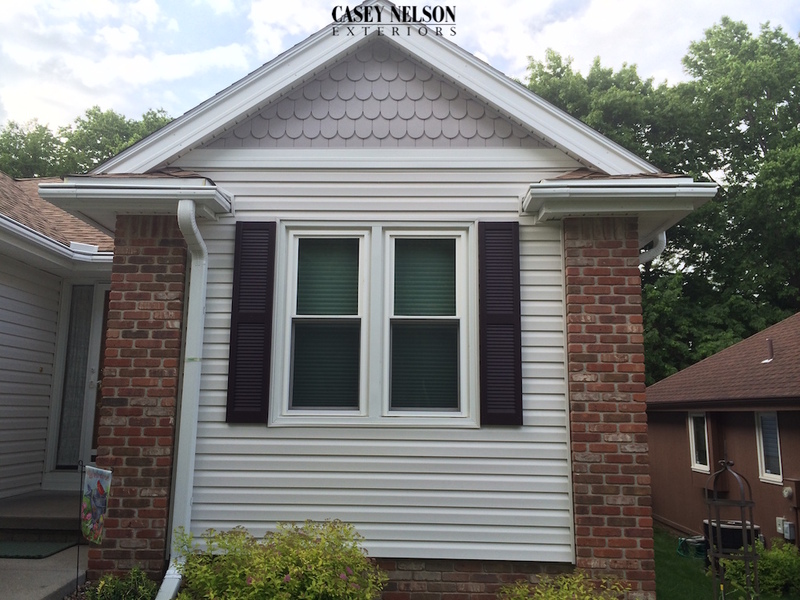 Look for colors that will work cooperatively with those exteriors. 4. Consider three or more levels of color. 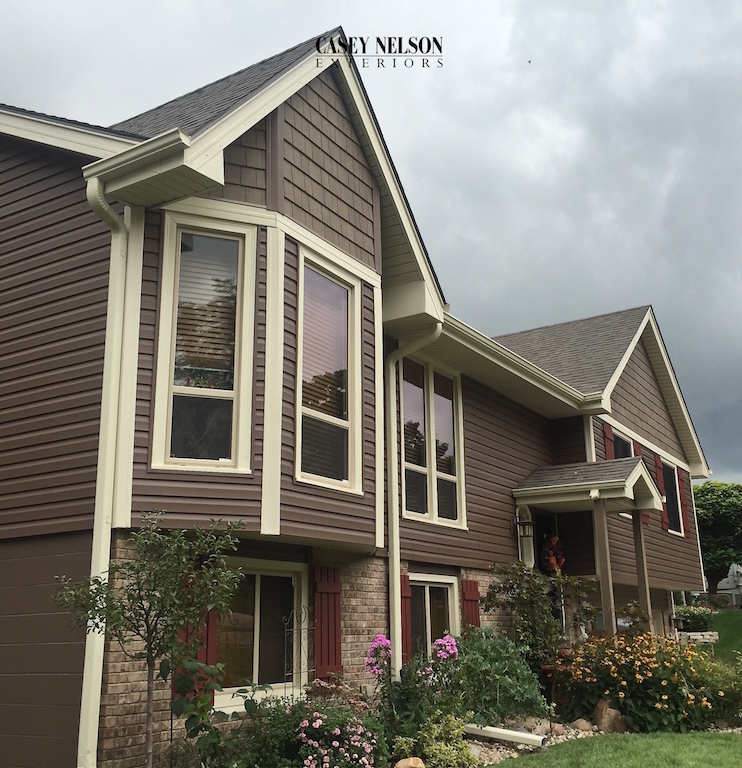 Look for shades, colors darker that you are selecting for the main body of color, and tints, colors lighter than the color you are using for the main body of color. a. 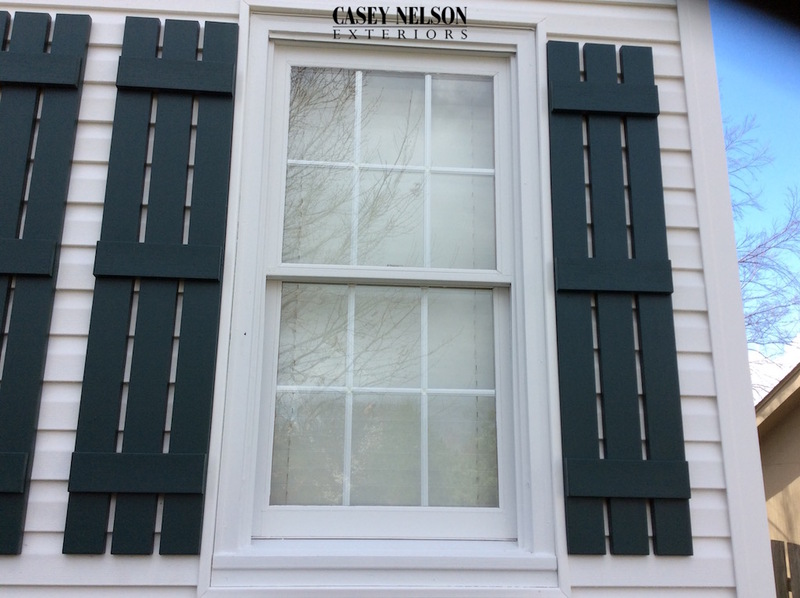 If your main body of color is dark, consider classic white or a similar pale color for your trim. Pictures tell the final story! 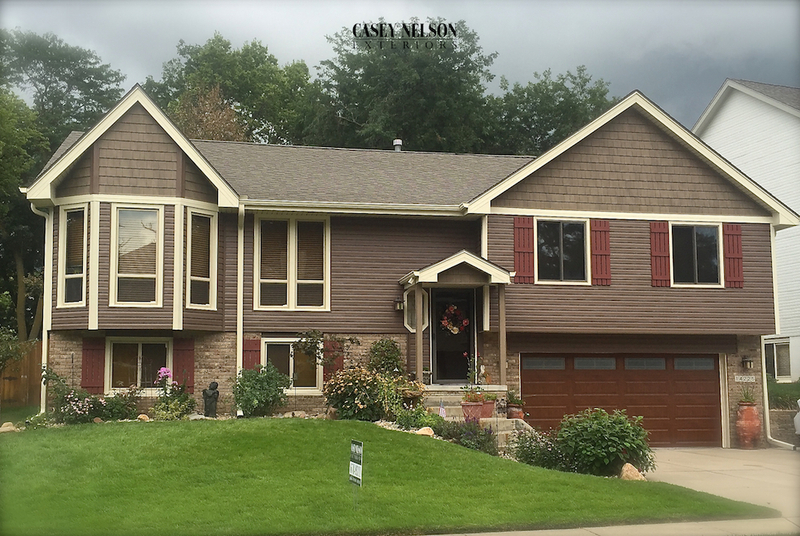 Mastics Dutch Ovation Siding in Pebblestone Clay compliments the colors found in the stonework of this beautiful home. 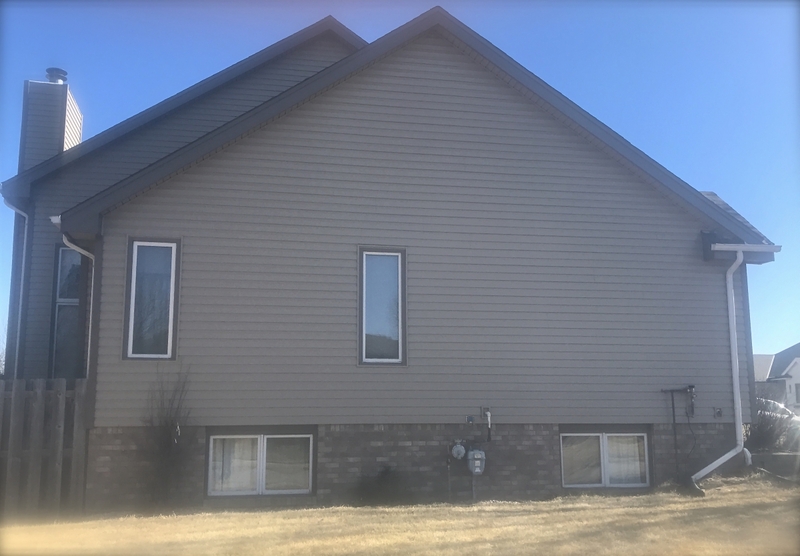 To add definition to the architectural lines of the home the homeowner selected Mastics Montana Suede for corner posts and wraps. 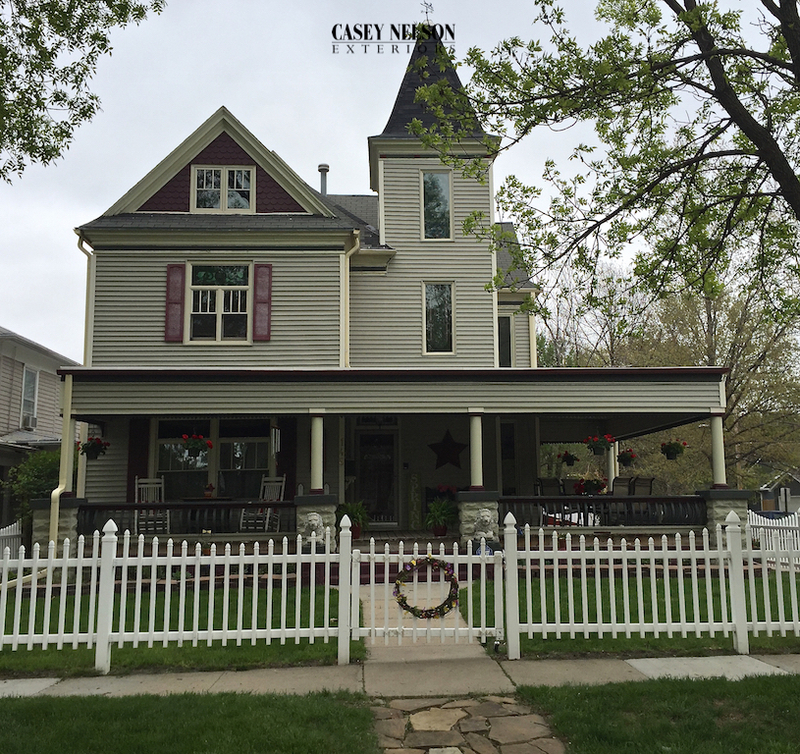 The overall affect is a home that not only makes a statement from the street but also works well with the homes that surround it. 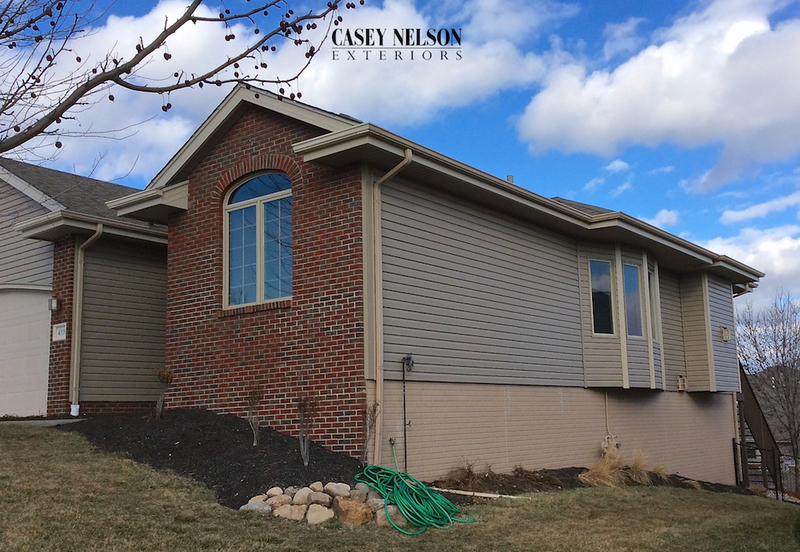 This entry was posted in Design Ideas, Recent Projects and tagged Siding Contractor Omaha NE, Siding Lincoln NE, Siding Omaha NE, Vinyl Siding Contractor Lincoln NE, Vinyl Siding Lincoln NE on March 6, 2017 by Casey Nelson Exteriors. 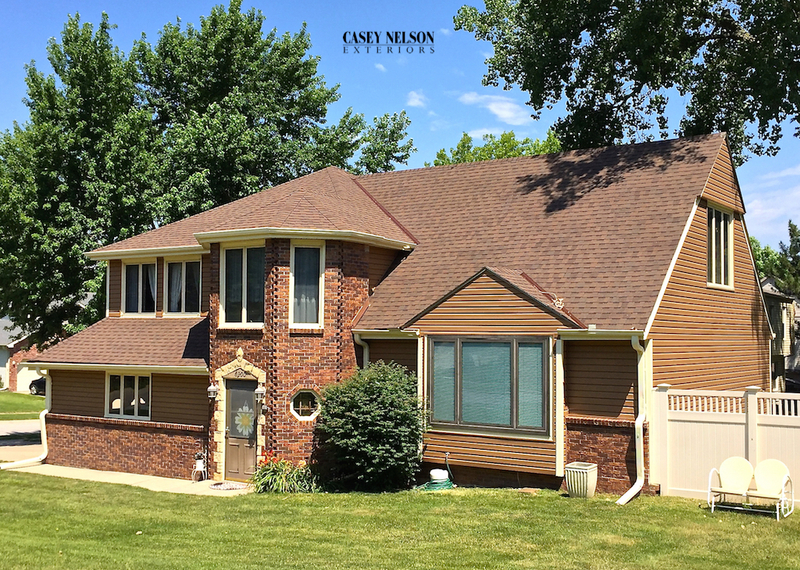 When selecting exterior colors to compliment brick that is already on your home the best method is to try to match or compliment colors within the bricks themselves. 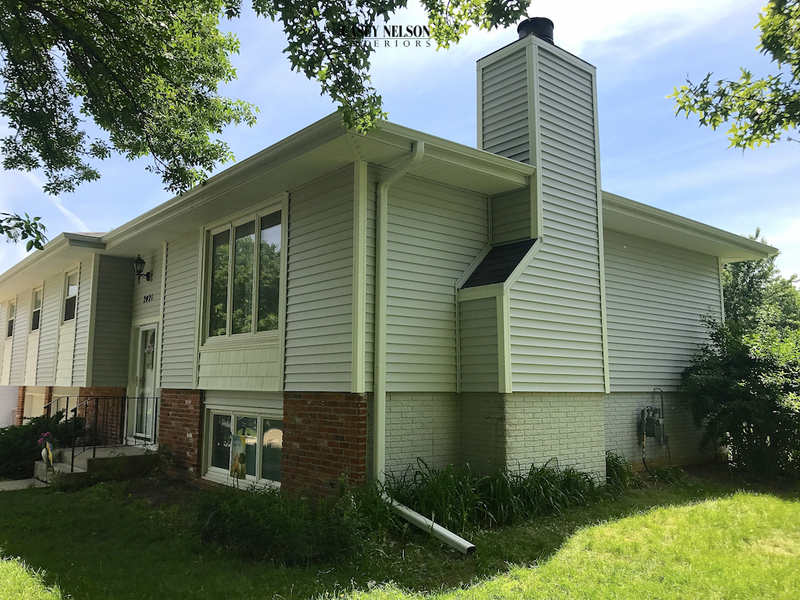 In doing so you do not produce too much of a contrast to the exterior of the home allowing the brick, the siding, and accent colors to work together to define the architecture of the home itself. 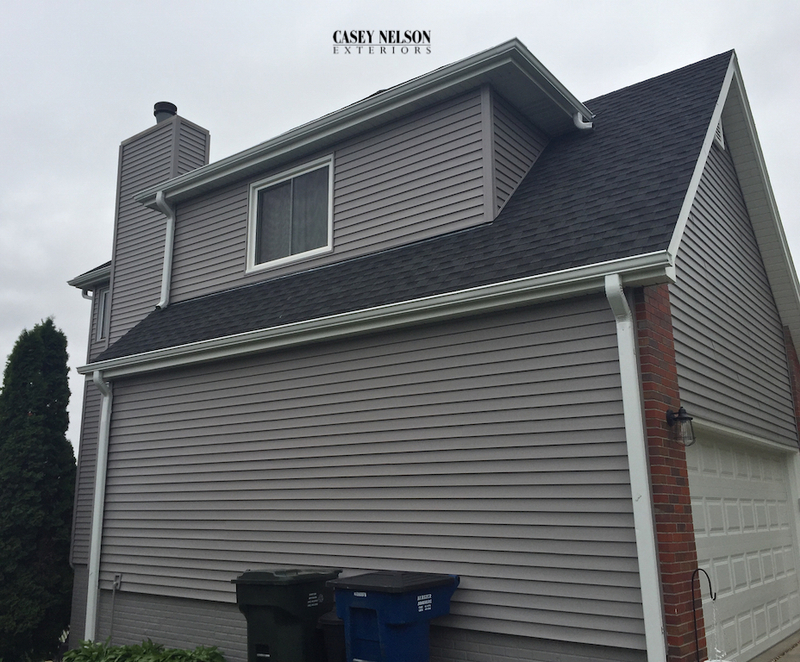 This beautiful home was finished in Mastic Home Exteriors Quest Pebblestone Clay Siding. 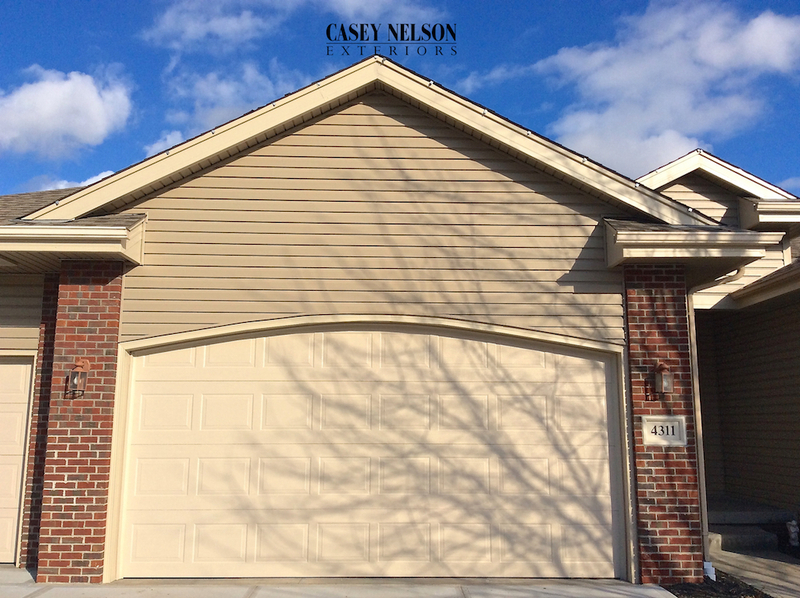 Detail was added to the architecture using Mastic’s Wicker wraps on the garage, corner posts and fascia. 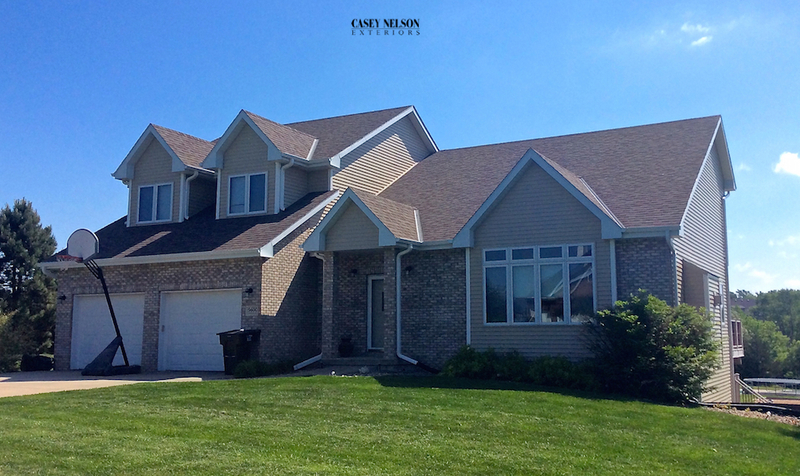 Mastic’s Pebblestone Clay accents were placed on the porch ceiling, beams and soffit. 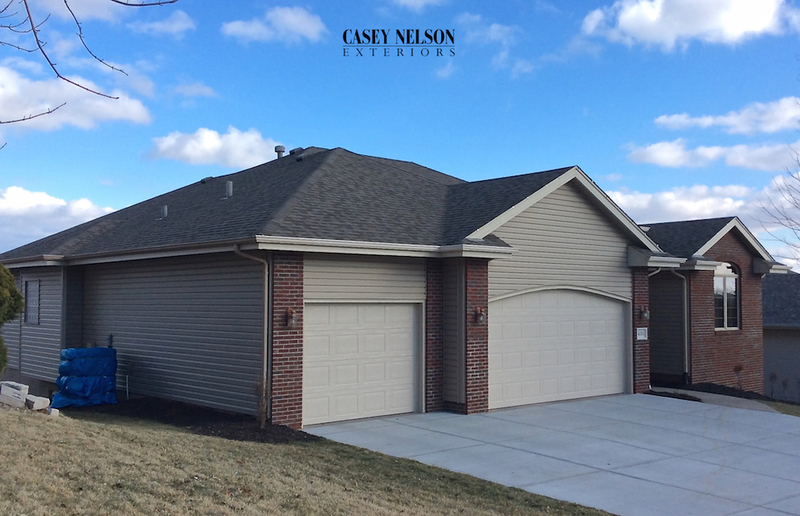 The overall effect compliments the brickwork of this beautiful home, providing eye catching curb appeal. 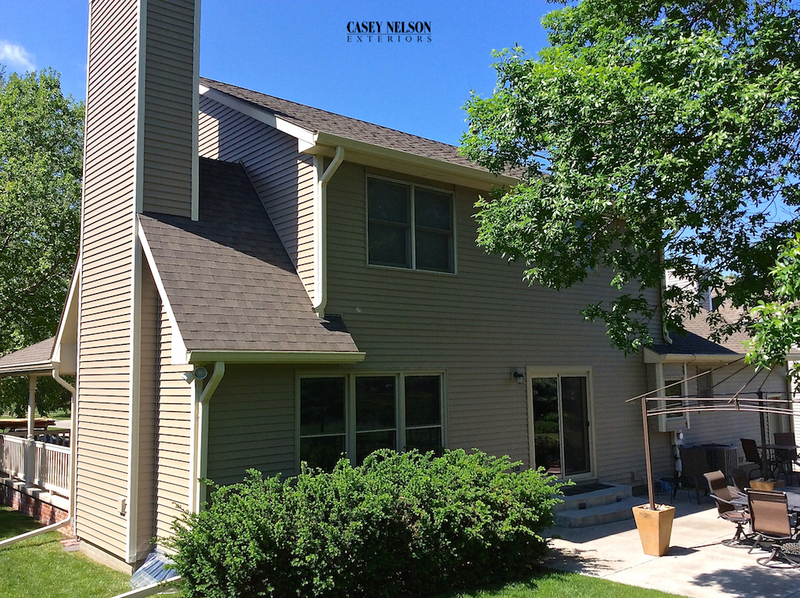 Mastic’s Quest Siding offers homeowners durability, hassle free, texture and peace of mind vinyl products. 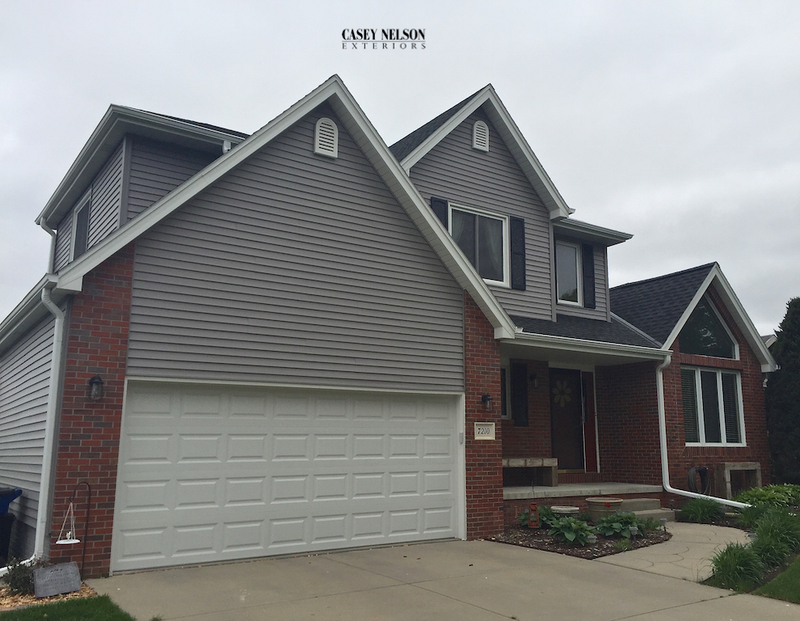 Quest Vinyl Siding is durable, low maintenance and looks beautiful. 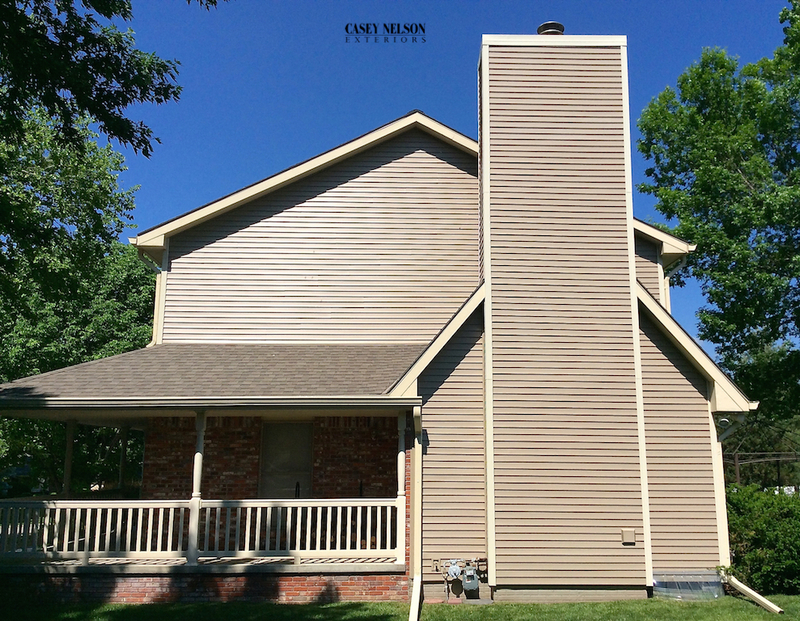 It will enhance your home’s appearance today, tomorrow and well into the future. 1. 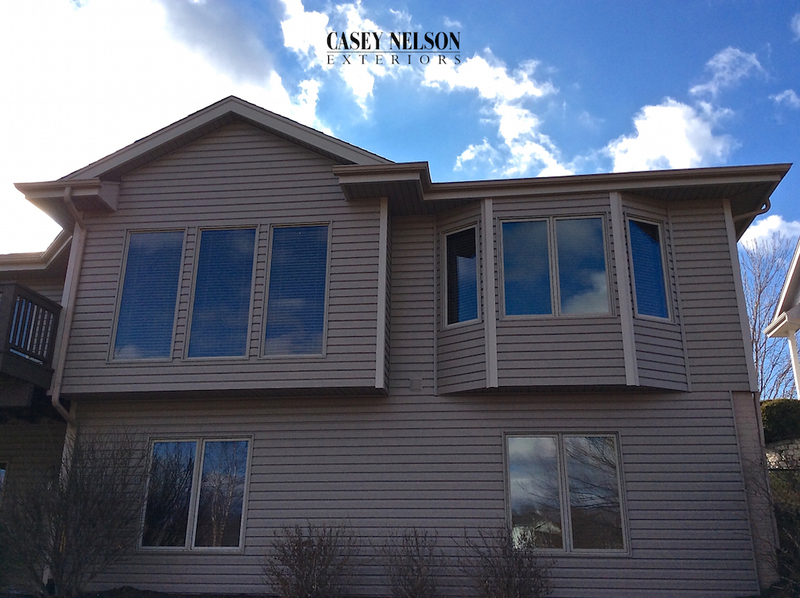 An increase in the over all value of your property. 2. 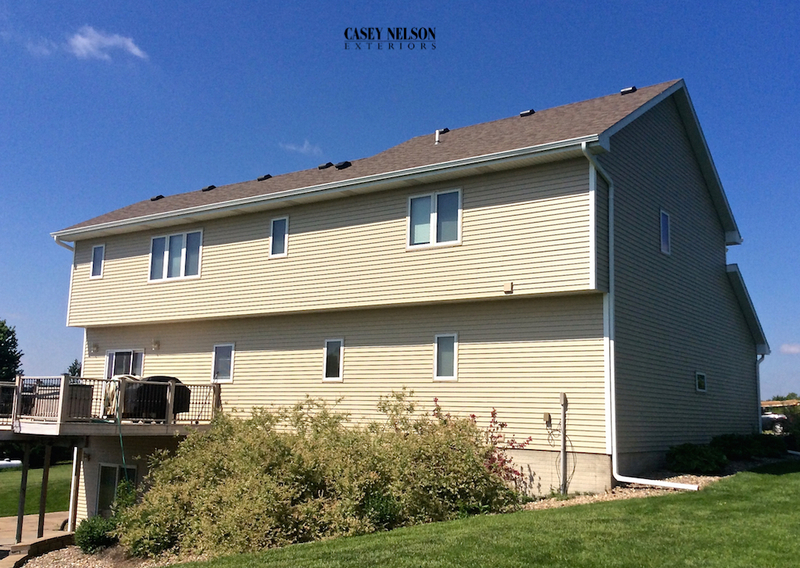 An increase to the landscaping options of your property. 3. 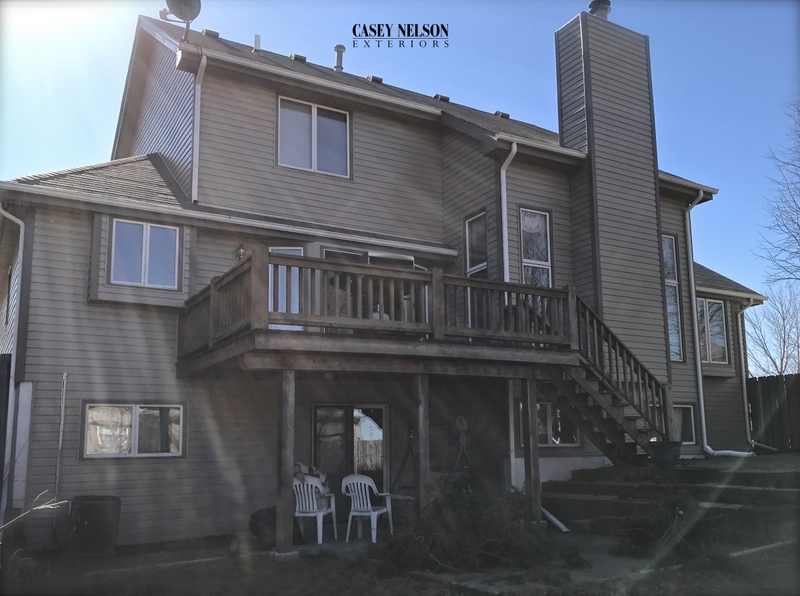 Improving the overall structural integrity of your home providing an increase in the overall investment value of your home. 4. 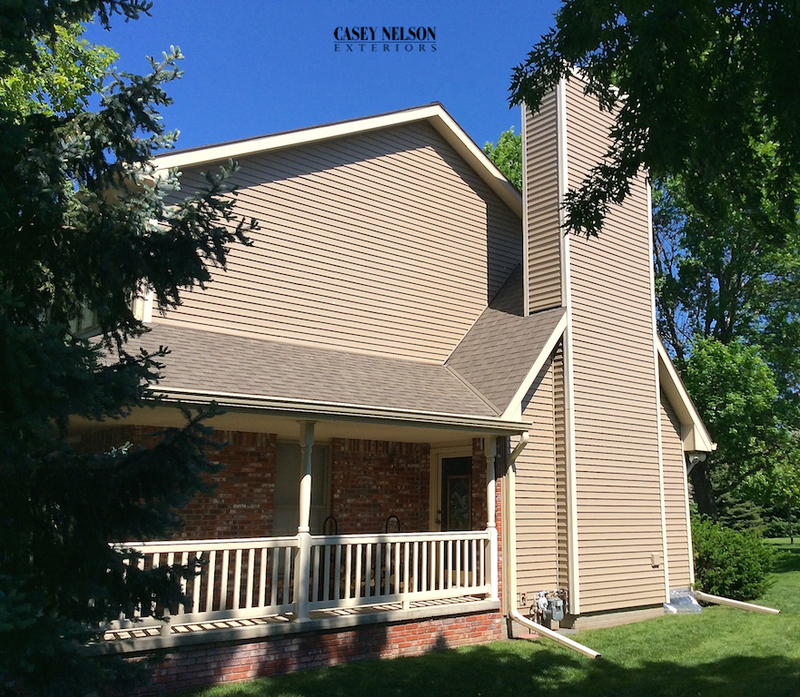 An increase in the exterior style of your home by defining and creating architectural interest to your home. 1. 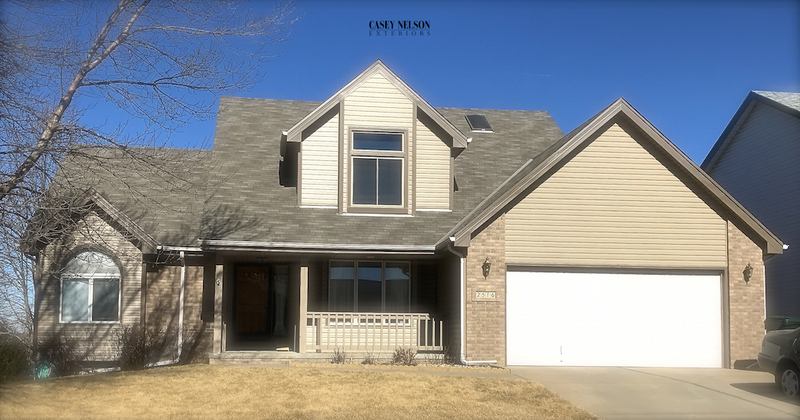 Windows – Amerimax Masters and Craftsman windows with Almond wraps. 2. 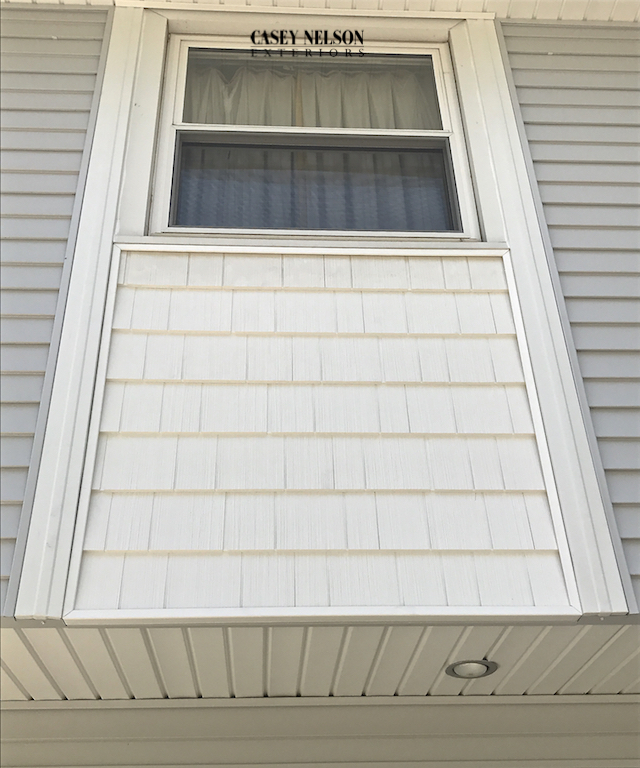 Gutters and Downspouts in Almond. 3. 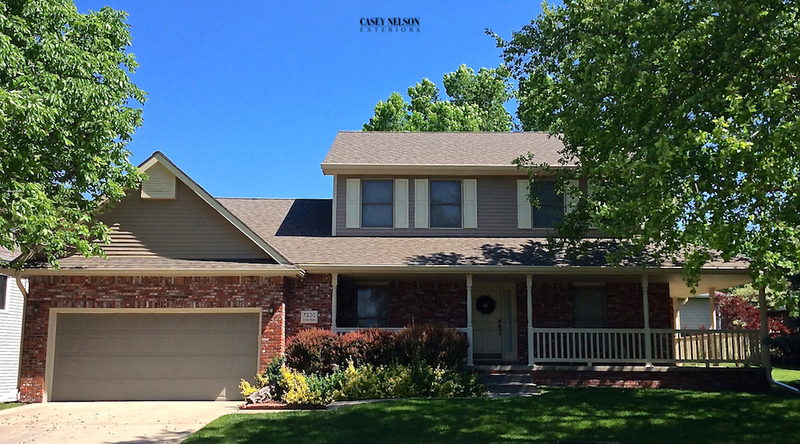 Legacy Roofing by Malarkey in Weathered Wood. 4. 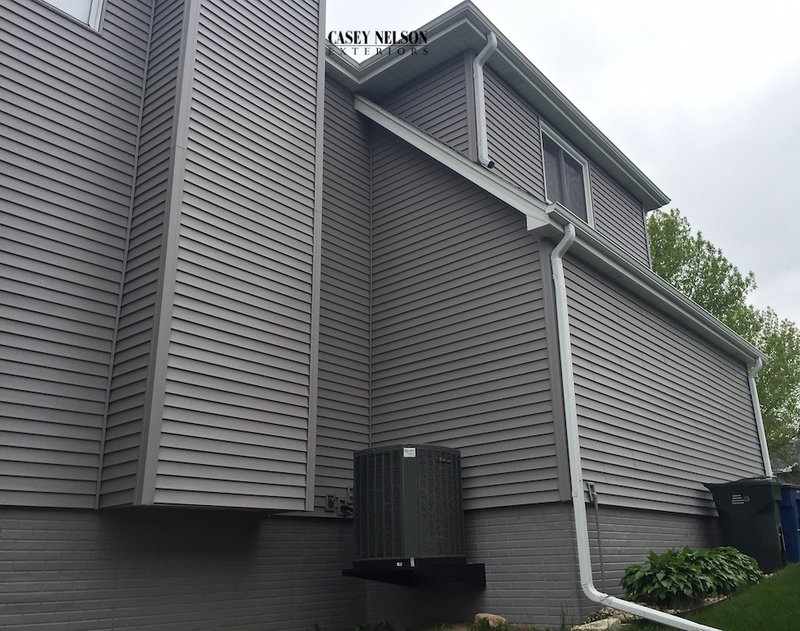 Mastic Ovations Siding in Brandy Wood with Almond wraps, soffit, and fascia. 5. 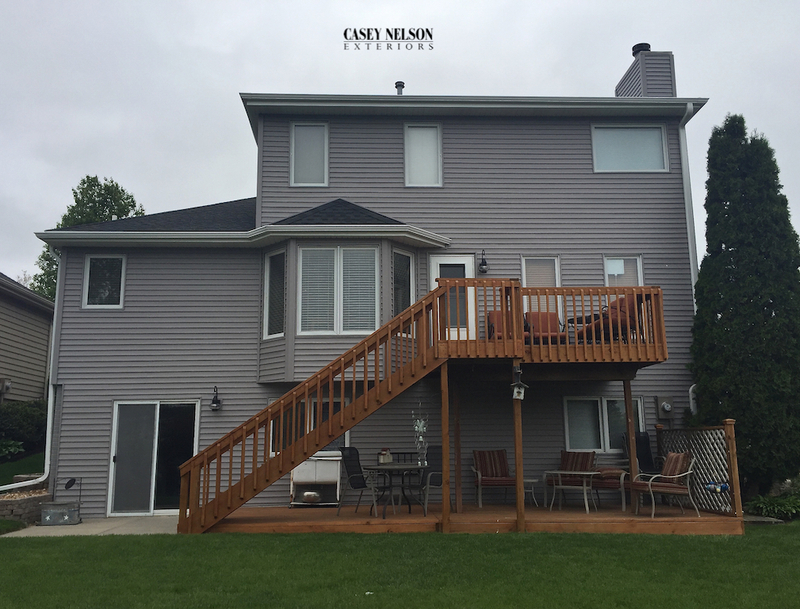 Mastic Discovery Perfection Shakes in Cedar. 6. 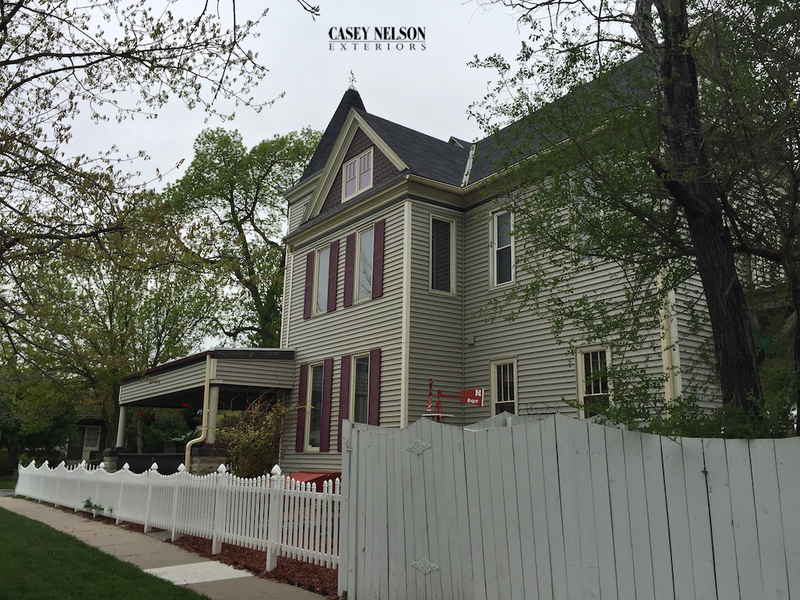 Mastic Raised Board and Batten Shutters in Red. 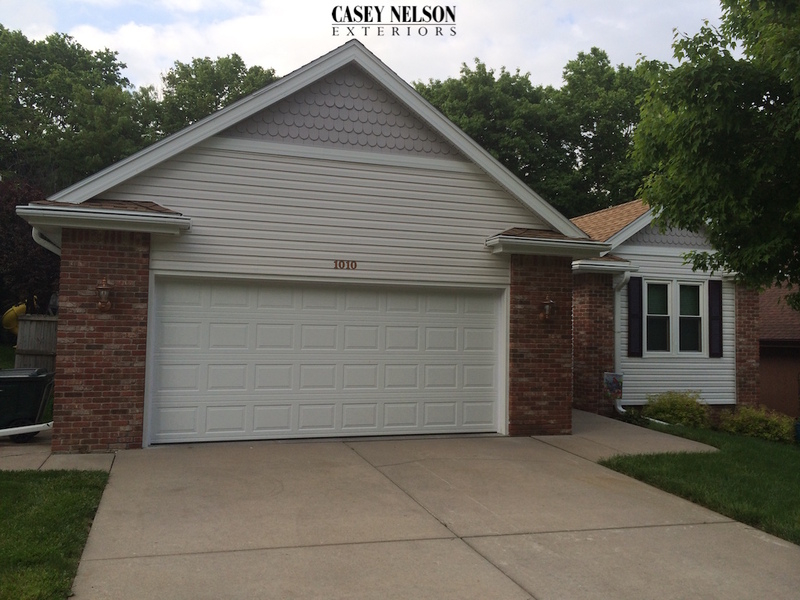 Contact Casey Nelson Exteriors of Lincoln and Omaha to help you with your homes exterior “remodeling” needs. 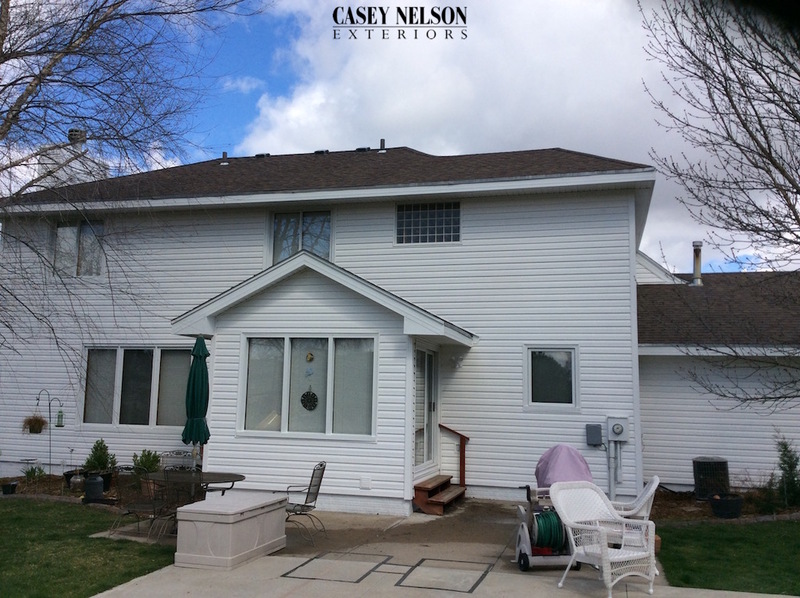 Let Casey Nelson show you the products we have to offer your home’s exterior makeover. 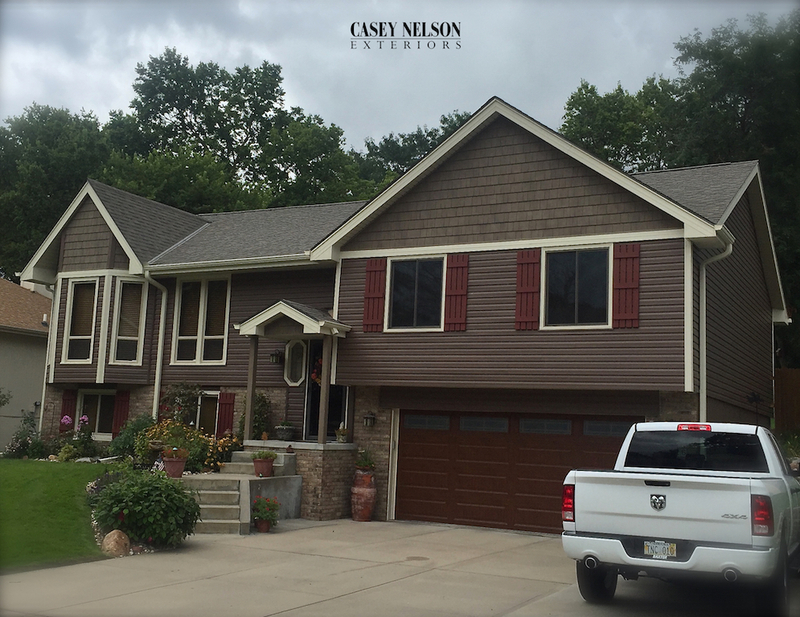 This entry was posted in Design Ideas, Recent Projects and tagged Siding Contractor Omaha NE, Siding Omaha NE, Vinyl Siding Omaha NE, Windows Omaha NE on September 7, 2016 by Casey Nelson Exteriors. 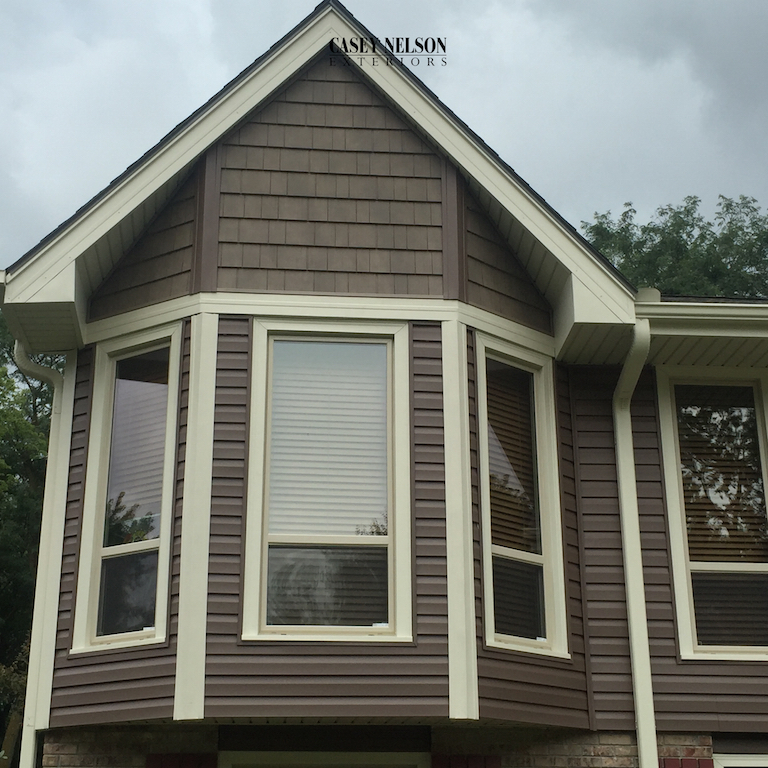 Check out the designer accent shakes on this front gable and the Board and Batten shutters framing the windows. It really completes the look. 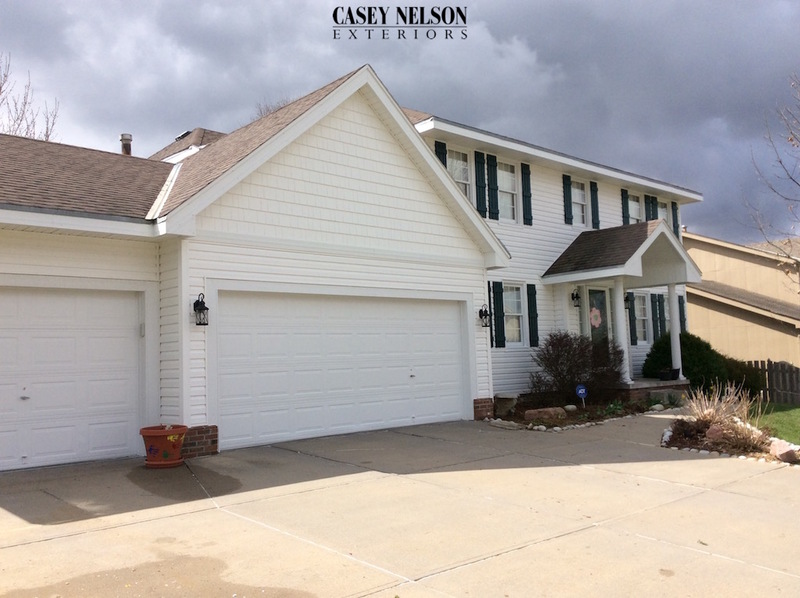 This entry was posted in Design Ideas, Recent Projects and tagged Siding Contractor Omaha NE, Siding Omaha NE, Vinyl Siding Omaha NE on March 31, 2016 by Casey Nelson Exteriors.